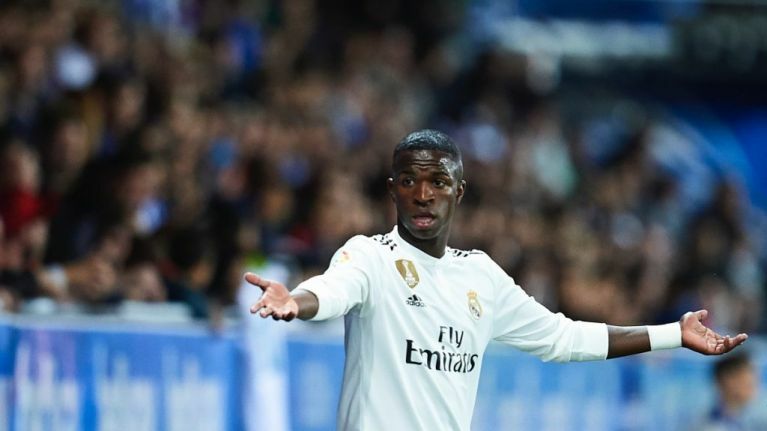 When Vinicius Jr arrived at Real Madrid having signed from Flamengo, he came with an aura. 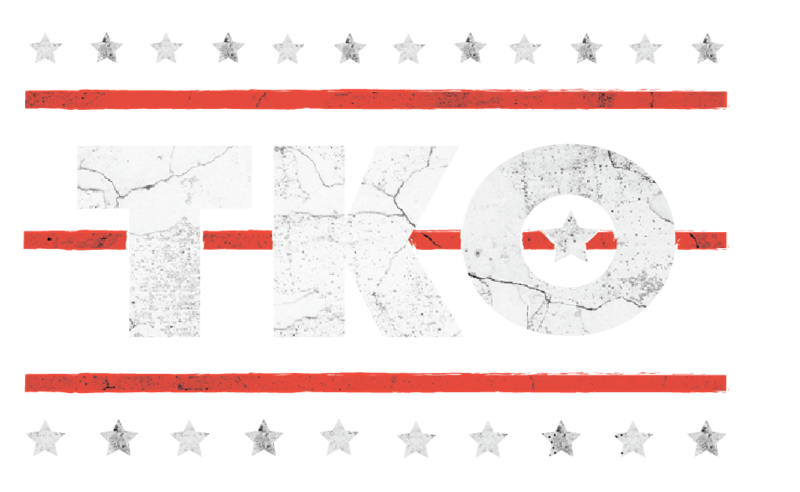 There was a circus of hype around this kid which he has gone some way to justifying, but it has of course provoked a reaction. The winger has torn defences apart in the Spanish second tier with his trickery, earning himself some minutes in the first team, and frustrating helpless defenders along the way. His style of play, compared by some to Neymar's, invites a lot of fouls. This means he goes to ground a lot, which means he gets accused of diving a lot. 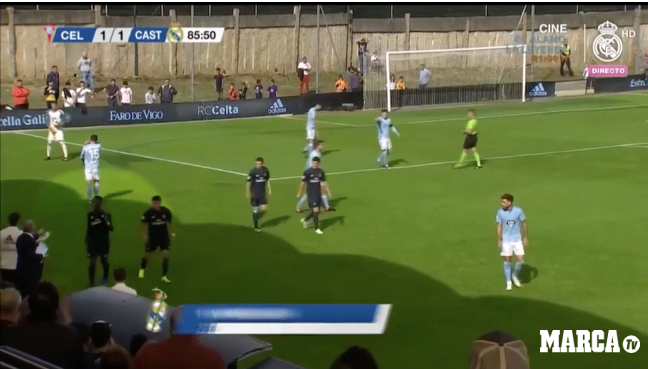 In Real Madrid Castilla's most recent game against Celta Vigo, we saw the whole package: a stunning free kick, defenders cynically bringing him down, and accusations of diving. Not just accusations, but two yellow cards brandished for separate dives, resulting in the Brazilian being sent off, much to his disapproval. 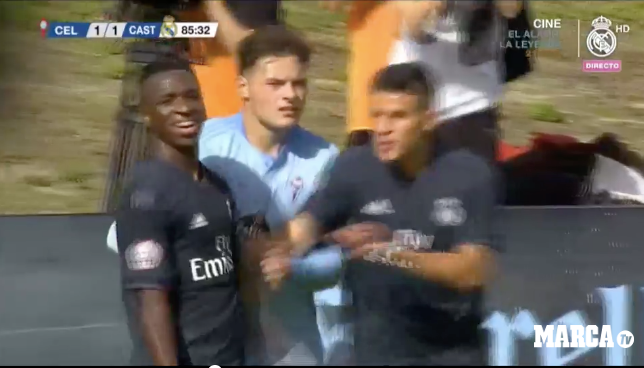 First, the free kick: as Madrid trail with less than 10 minutes to go, Vinicius steps up to take a free-kick from mid-distance. With a perfect strike, the ball bends into the top corner. This is why Madrid were prepared to pay £38m for an 18-year-old. ⚽ 83' @vini11Oficial 💥 GOLAZO!!! 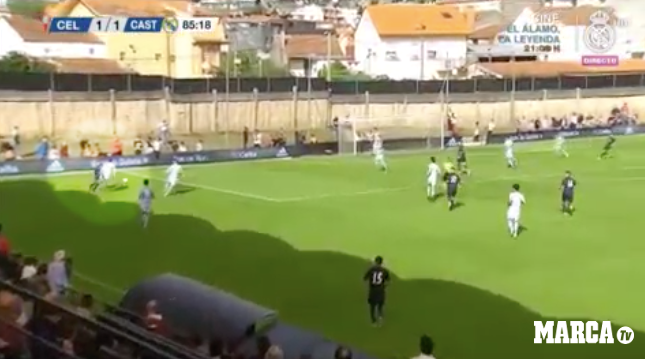 In a late chase for a winning goal, Vinicius Jr, running at full pace into the box, is pushed off balance by a Celta defender. Fair enough, you gotta do what you gotta do sometimes. 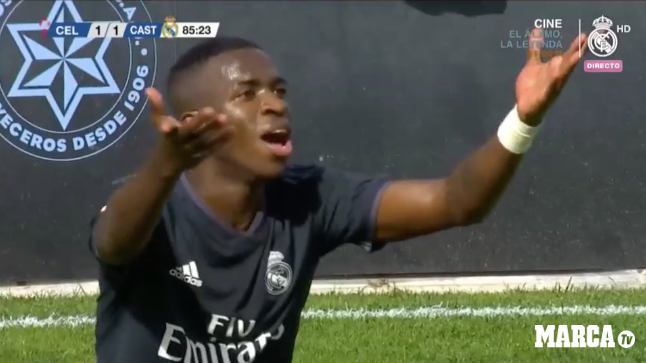 But hold on, the referee judged Vinicius to have dived. Having already been booked for going down too easily earlier on in the game, he was sent for an early bath. His reaction was initially one of shock, anger and frustration. Upon accepting his fate, it was then one of pettiness. As he strolled towards the tunnel, he took the chance to hold the Real Madrid badge on his crest up to the Celta Vigo fans. "That's right mate, I might have just been sent off for diving, but I play for Real Madrid."